I just went to wikipedia and learned a lot about milk weed. 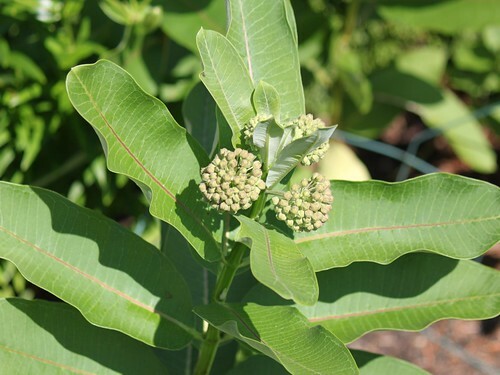 It is commonly used in butterfly gardens, as it is the sole sourse of food for the Monarch butterfly. It was also used historically to poison arrows in times of war, and the sap is rumored to be useful to treat warts and poison ivy!